. Lake Lanier is located about 1 hour northwest of Atlanta. As we were driving to the lake I noticed that most of the pizzerias in the area were located in gas stations. My stomach turned and I realized we might be getting further from civilization based upon this. Upon arriving at the lodge we were shown to our rooms and immediately onto a cruise. The second day while checking out, I passed by this heat lamp that had something resembling a pizza underneath it. 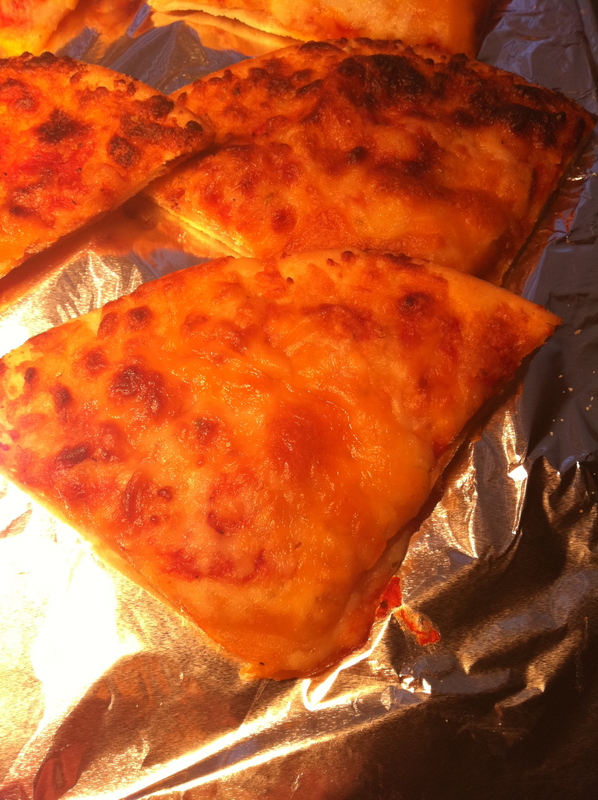 This tiny pizza slice wasn't so much pizza as it was some stale tasting cheese and in my opinion frozen dough and sauce. After taking one bite of this bite sized slice, I had to throw the rest away and question...who would ever order this if having a catered event here. Granted your choices are few and far between for pizza, at this remote location, but the catering manager, once again in my opinion, should make at least a little bit of an attempt to put out something edible. If you are having an event at this beautiful resort, with plenty of amenities, try not to order this so called pizza. In my humbled opinion you will be drastically let down!